Something&apos;s fishy in Bucks County! Restaurants all over Bucks County are cooking up some of your favorite seafood dishes. Whether you&apos;re looking for something fried, grilled, baked or steamed, Bucks County&apos;s restaurants are sure to please. For an upscale lunch or dinner, head to Fisher&apos;s Tudor House in Bensalem. Since 1975, this Old World-inspired restaurant has been serving seafood specialties like Scallops Mediterranean, a juicy dish of sautéed scallops, served with onions, peppers and mushrooms in marinara sauce over pasta. Got an ocean-sized appetite? 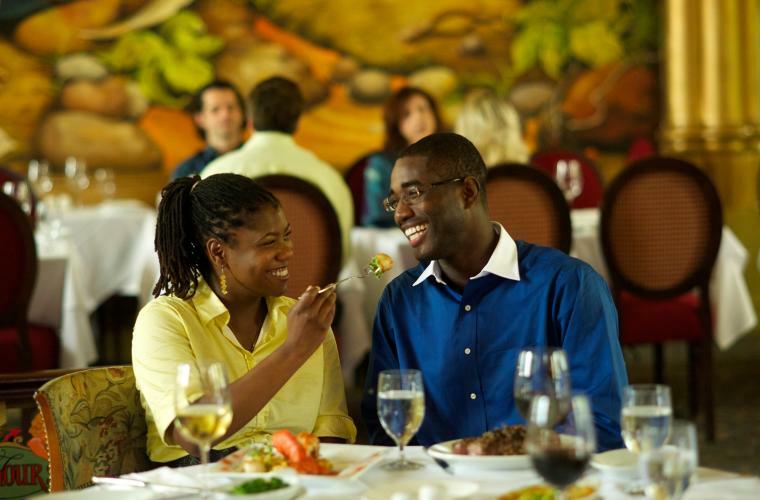 Try the hearty Alaskan king crab legs served with melted butter and a baked potato or the delectable Surf and Turf: a broiled one-half pound Brazilian lobster tail with a 10-ounce center cut beef tenderloin and a baked potato. If you are looking for fresh, affordable seafood in a casual atmosphere, turn to the Lobster Claw of Doylestown, serving ready-to-eat seafood dishes in Bucks County for 25 years. This Doylestown landmark is serving up favorites like steamed Alaskan king crab, deviled crab cakes and shrimp scampi. Their family and personal specials make it easy to get tons of delicious seafood without breaking the bank. Take your taste buds on a trip with bayou-inspired recipes at Marsha Brown in New Hope. Marsha Brown serves Louisiana favorites like Crawfish Etouffee, Jambalaya and Real Gumbo Ya Ya, truly bringing the best flavors of the south to Bucks County. Experience authentic Tuscan cuisine at Toscana 52 Fire Grill & Bar. Toscana offers Italian favorites made from scratch and a weekly menu that takes diners on a global food tour. Try some crudo (Italian sushi), seafood manicotti or Cacciucco, a Tuscan seafood specialty featuring shrimp, clams, mussels, scallops and salmon slow cooked in a brothy saffron tomato sauce. You know you&apos;ll get a fine seafood experience at the Black Bass Hotel. This Lumberville hotel and restaurant offers unique seafood dishes like Miso Glazed Black Cod, Maine Lobster Pappardelle and their signature dish, Charleston Meeting Street Crab, served classic au gratin with reduced cream, sharp cheddar cheese and sherry. Whatever seafood you happen to be craving, Caleb&apos;s American Kitchen has an option for you! Start your meal with the crab mini tacos for a unique spin on a traditional fish option. Continue your meal with the BBQ grilled shrimp or lobster rolls to satisfy your taste buds. Conveniently located in the quaint Peddler&apos;s Village, Earl&apos;s New American features an impressive wine list to go with unique seafood dining options. Try expanding your palate with the Spanish octopus, or stick to an old favorite like the salmon entrée. Rediscover the legendary Stockton Inn in New Jersey! 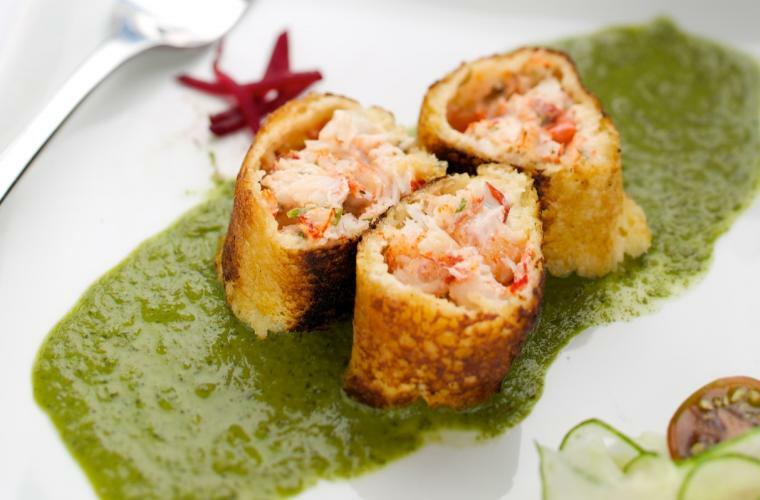 Located just steps from the Delaware River, this restaurant offers a progressive menu. Try the poached lobster risotto or the pan seared golden tilefish for a meal that is sure to meet your needs. Dine at the unique setting of the Logan Inn, where the menu features a mix of seafood and other options. If you&apos;re particularly hungry, try the Grand Sampler or The Royale appetizers, featuring oysters, clams, cocktail shrimp, jumbo lump crabmeat and lobster. Dine in charming glass-enclosed porches, in the cozy Fireside Room, or, when the weather is nice, take the opportunity to eat al fresco on the tented patio! Look no further than the Washington House Restaurant for local charm, a warm atmosphere and an exciting menu filled with classic seafood options like the jumbo lump crab and crispy Cajun shrimp beignets. This truly unforgettable dining experience also features other fun foodie events like beer and wine tastings, specialty food nights and seasonal menus.